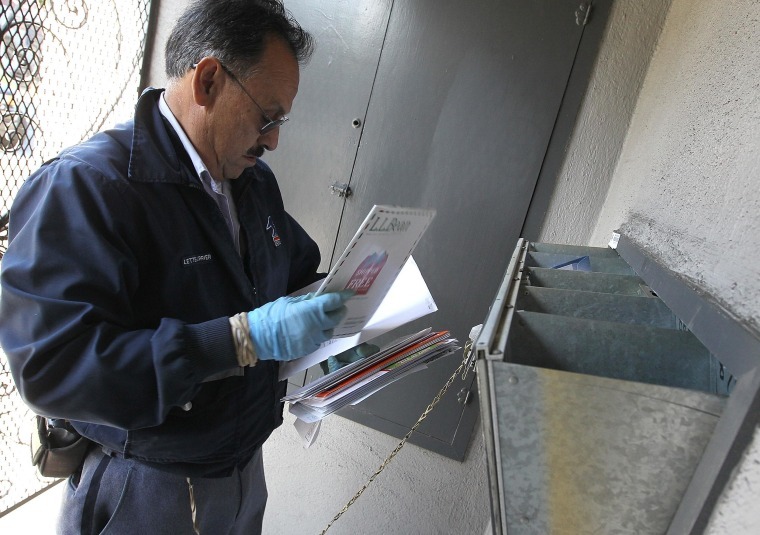 Millions of Americans would no longer get mail delivered to their door but would have to go to communal or curbside boxes instead under a proposal advancing through Congress. The Republican-controlled House Oversight and Government Reform Committee, on an 18-13 party-line vote, approved a bill Wednesday to direct the U.S. Postal Service to convert 15 million addresses over the next decade to the less costly, but also less convenient delivery method. Democrats objected to the plan, and efforts in recent years to win its adoption have failed. "I think it's a lousy idea," Rep. Stephen Lynch, D-Mass., said. Other lawmakers said it wouldn't work in urban areas where there's no place on city streets to put banks of "cluster boxes" with separate compartments for each address. People with disabilities who have difficulty leaving their homes could get waivers, and people who still want delivery to their door could pay extra for it — something Lynch derided as "a delivery tax." The measure falls far short of a comprehensive overhaul most officials agree is needed to solve the postal service's financial problems. The committee's chairman, Rep. Darrell Issa, R-Calif., acknowledged that at the outset but said it "provides an interim opportunity to achieve some significant cost savings." Converting to communal or curbside delivery would save $2 billion annually, Issa said, quoting from estimates that door delivery costs $380 annually per address compared with $240 for curbside and $170 for centralized methods. He said less than 1 percent of all addresses nationwide would undergo a delivery change annually and that communal boxes offer a safe, locked location for packages, doing away with the need for carriers to leave packages on porches and subject to theft and bad weather. The Postal Service reported a $1.9 billion loss for the first three months this year despite continued cost-cutting, a 2.3 percent rise in operating revenue and increased employee productivity.